Six months and nineteen days. 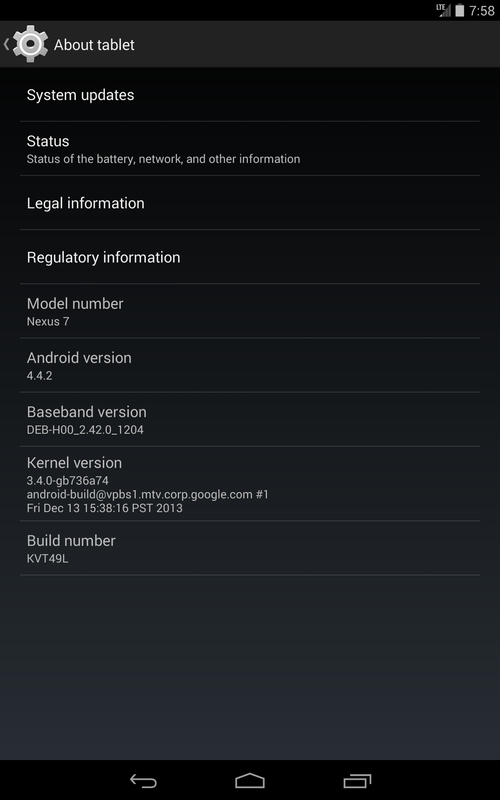 It's been exactly that long since Hugo Barra announced the new Nexus 7 in a press conference, including an unlocked LTE model that works with Verizon 4G bands. It's been almost five months since that particular model went on sale, and about as long since eager users found out that they couldn't activate a new Verizon Wireless account with the tablet, which wasn't included in Verizon's device database. 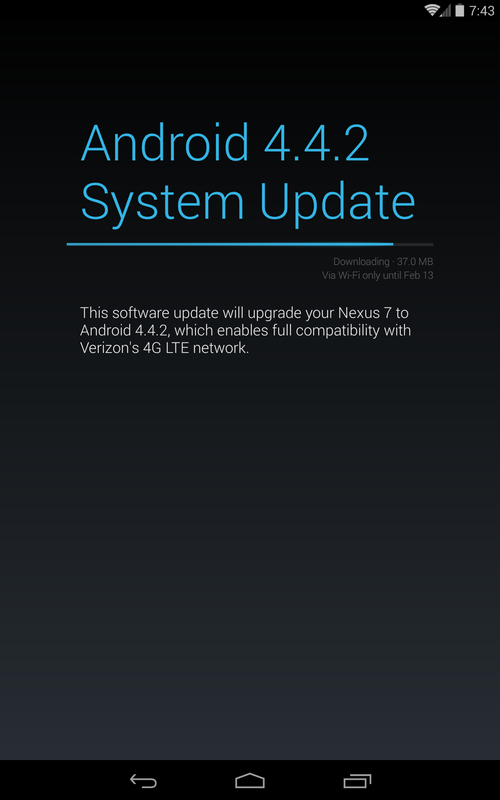 Today, exactly one day before Verizon starts selling the tablet itself, a software update has enabled full VZW LTE functionality on the 2013 N7. 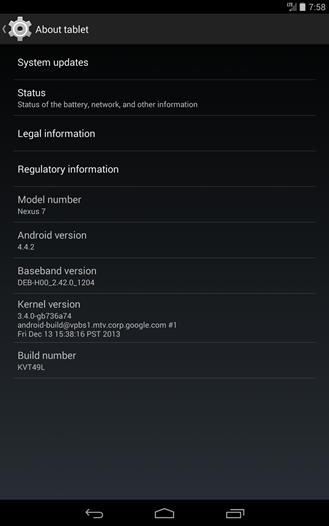 The software is Android 4.4.2 KVT49L. It should allow any user to add a Verizon line, either singularly or with a family plan, without going to the ridiculous lengths that were previously necessary. 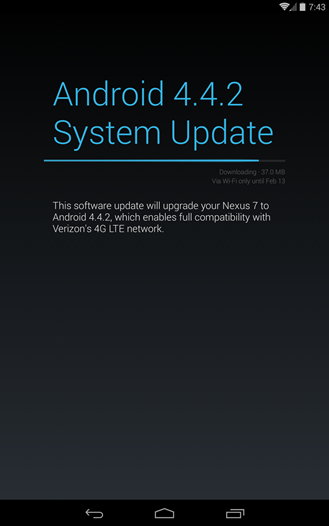 The update should also fix a few nagging issues for existing Verizon customers, including the inability to access data from the LTE network and a local WiFi network at the same time. The update is exactly 37 megabytes, which includes a new build of the software radio (DEB-H00_2.42.0_1024). Other than that, there don't appear to be any significant changes. 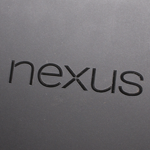 Verizon will start selling the Nexus 7 tomorrow for $250 on-contract.